Cardi B talked dropping new music, baby Kulture, and what it’s like being the only “colored folks” in her neighborhood. According to Cardi, she and Offset’s neighbors aren’t the most welcoming. Cardi B revealed she and Offset have around 11 puppies, but can’t keep them at her spacious mansion, as the revolving door of visitors for the new parents makes the dogs anxious. 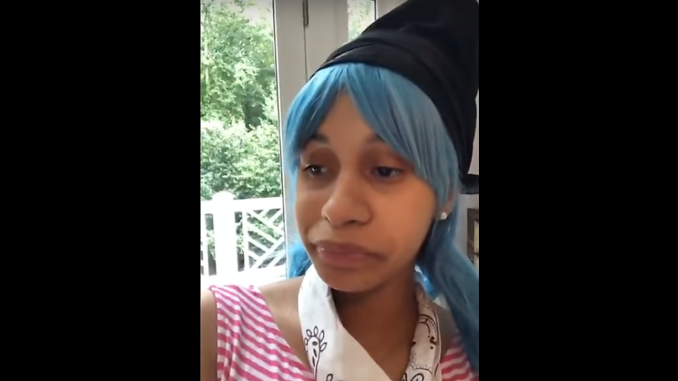 Plus, Cardi says her “Caucasian neighbors” keep calling the cops on the dogs she already has. According to Cardi, her neighbors keep threatening to call 911 and animal control on her rambunctious dogs every time they leave her fence. One of her dogs, mysteriously got hit by a car and is covered in “road marks” said Cardi. The dog made it out alive, but the drama between Cardi, her neighbors and her dogs, she’s ready to move and revealed plans to buy a bigger home for all of her 11 dogs.